While the music may be happening behind the fences of Calgary’s Folk Music Festival, there’s a different kind of party outside the gates. Friday afternoon saw hundreds of festival-goers waiting in line from the main gates all the way to the pedestrian bridge across Memorial Drive. This is a common occurrence during the four-day festival and has even become a tradition for many Calgarians. Not only is getting in line early crucial to scoring a sweet spot on the grass, but Darlington said it’s a great way to meet new people. “It’s relaxing, you get to watch the people go by, and people are friendly, everyone’s happy,” she said. 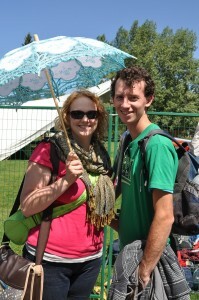 Kate Marlow and friend waited in line for the third year in a row amongst hundreds of other Folk Fest fans. Photo by Kelsey Hipkin. 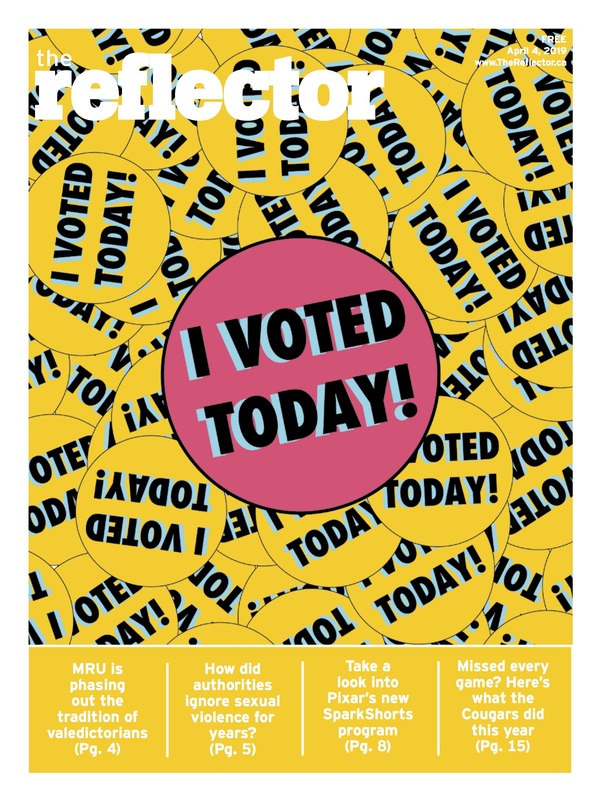 Fellow folk-lover Kate Marlow agreed that waiting in line isn’t as boring as it seems. Darlington said that while she was looking forward to seeing Michael Franti and Spearhead, Folk Fest always offers some surprises, which makes the wait worthwhile.